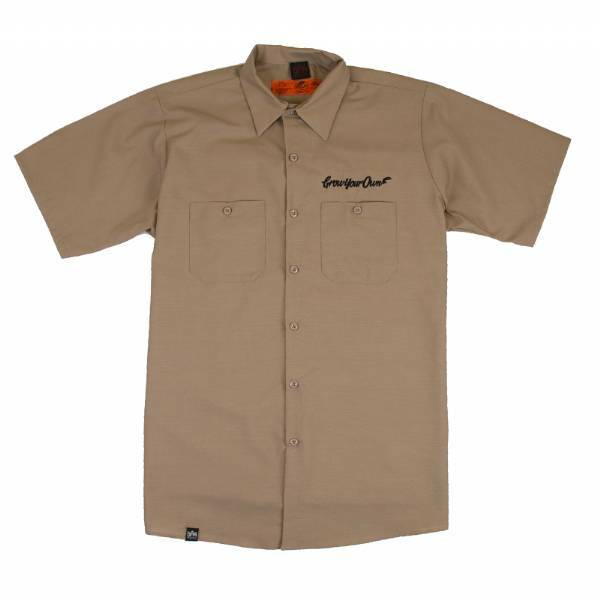 DNA Grow Your Own short sleeved work shirt in khaki. Highly detailed embroidered white GYO tag above the chest pocket, Six button short sleeve work shirt, Pre-cured durable press with soil release and wickable finish. Two button thru, hex style pockets with angled bartacks, Pencil stall in left pocket with DNA woven label sewn onto bottom hem.